Fresh lemon juice combined with a simple syrup to make a classic Old -Fashioned Lemonade. Nothing beats the heat better than an ice cold glass of Lemonade, but not just any lemonade in our house it has to be lemonade using real lemons. 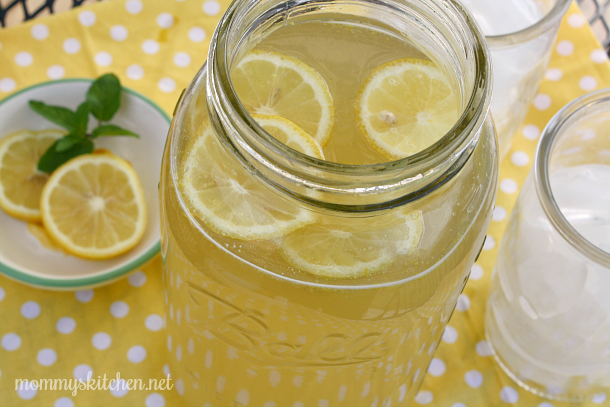 Making Homemade Lemonade is really simple and also a delicious way to enjoy summer. 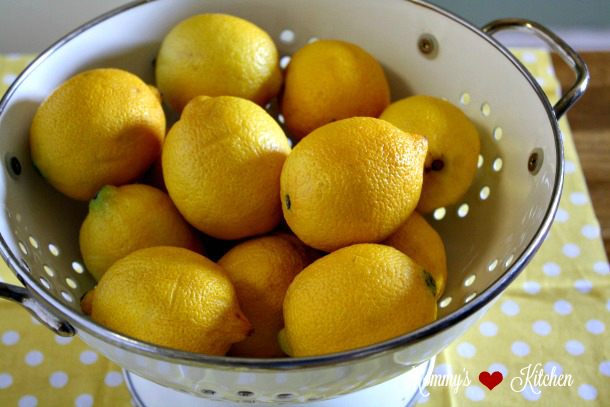 By far my favorite lemons are Meyer lemons because they're much sweeter, but regular lemons will work just as well. The best place I found to purchase lemons is at Costco. You can get a 5 lb bag for about $6.99 which is a great price. We planted a Meyer Lemon bush this year, but it will be a year or two before it bears fruit, so until then I will have to purchase fresh lemons for lemonade. Lemonade calls for only three ingredients. Fresh lemon juice, sugar and water. Some folks just add it all together in a pitcher (my husband) and stir, but if you do this all the sugar just sinks to the bottom, so the best way to make lemonade is to make a simple syrup. To make a simple syrup just add equal parts of sugar and water to a saucepan. I also add the lemon zest and then heat the ingredients until dissolved. Remove from heat and add the lemon juice. Let the syrup cool and then add the remaining water, stir and add to a half gallon size mason jar. That's it now you have perfect homemade old fashioned lemonade. In a large saucepan, combine sugar, lemon zest and 1 1/2 cups water. Cook over medium heat until the sugar is completely dissolved (about 4-5 minutes). Remove from heat and stir in lemon juice. Let the syrup cool and then add the remaining water and stir. Pour the mixture into a half gallon size mason jar or pitcher and refrigerate until cold. Serve over ice with additional lemon slices (optional). Refrigerate any leftovers. 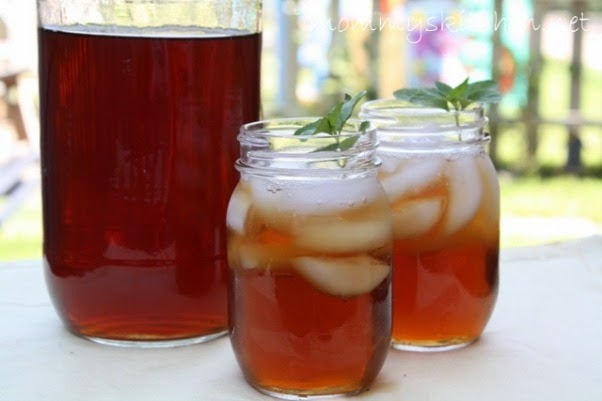 For another one of my favorite summer drinks, check out my Southern Sun Tea recipe. I was just at Costco last week, and I actually bought a bag of lemons while I was there. I used them in beverages and in recipes. This looks like a great lemonade recipe. My entire family enjoys lemonade. This lemonade looks so refreshing. It is hot out today and we are going to be getting some lemons and making this. So easy to prepare too. I am heading to the store to buy the ingredients. Even some mason jars to serve it. My whole family loves Lemonade but we have never made our own recipe. When we visit my in laws in Arizona we always pick the lemons from their lemon tree. I am going to share this great recipe with my mother in law. I think she would enjoy it. This is perfect for long hot summer days! We love lemonade especially during the summertime. Actually , for me I can drink it any time of the year. I haven't tried making my own recipe , but since reading your post, I think I'll try and make my own this weekend. I know that making a simple syrup is supposed to be the best way to make those lemonades. I have never done that before myself. Although I have made simple syrups for other recipes, including a lemoncello. I will have to try this out with my daughter. This is like the lemonade they make at fairs that is so freaking good. I've always been a fan of making lemonade homemade rather than buying it with all that extra nonsense in it. Now I want to go get some lemons, mm so good! This looks so yummy! 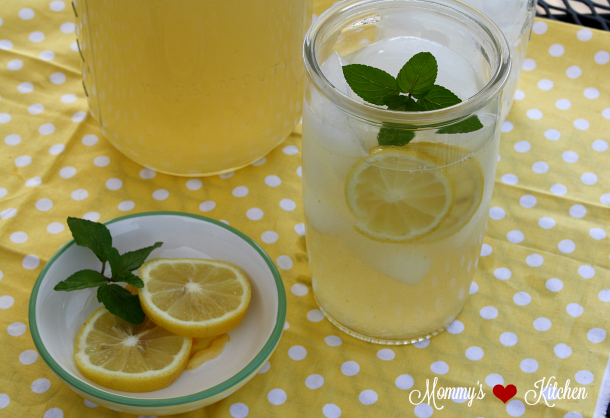 Nothing says summer like a tall glass of lemonade and if you make it fresh, even better! I completely agree with you, by the way, a simple syrup is definitely the way to go! I love homemade lemonade. I am definitely going to make this this week. We have so many lemons that need to be squeezed! 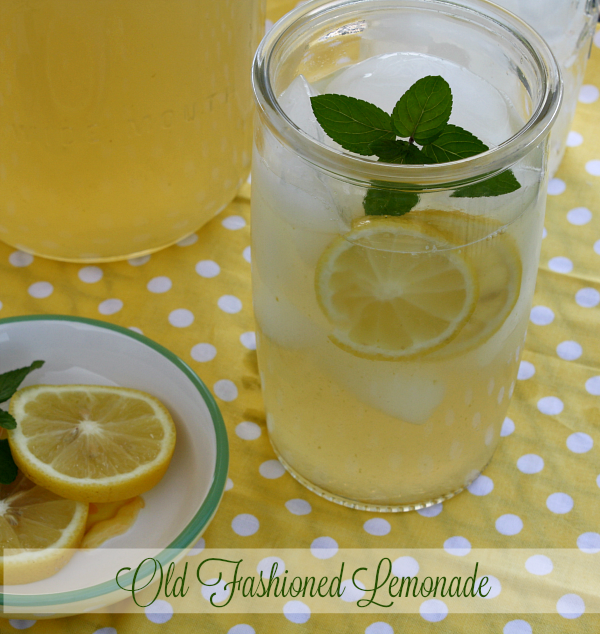 I was making cinnamon mint iced tea but I think it is time for some old-fashioned lemonade! What a great summer refreshing drink. I can't wait to try this out for our next summer party. See it's very attractive. I want it right away. But I'm pretty clumsy, do not know can succeed. thank you for sharing.